FIRST LADY CRISSY HASLAM INTRODUCES NEW TREE EDUCATION PROGRAM TO STUDENTS AT TENNESSEE RESIDENCE. Young farmers and other ag professionals are taking part in agricultural leadership classes across the state. GMO Answers, an initiative committed to creating conversations about GMOs and answering consumer questions, conducted a national survey identifying top questions about GMOs. Gov. Haslam, Former Gov. Bredesen launch campaign to encourage voters to “Vote Yes on 2” to amend the state constitution on judiciary selection. Your home air conditioning unit may need a little work before it starts its summer job. Black vultures continue threating livestock across the state and Rep. DesJarlais looking for solutions. THE SOUND AND SIGHTS MANY OF YOU ACROSS THE STATE ARE SEEING NEAR YOUR HOMES, BARNS OR GARAGES ARE CARPENTER BEES. ALWAYS THIS TIME OF YEAR, WHEN WE HOPE SPRING IS HERE FOR GOOD, THOSE DOORS TO THE LOCAL FARMERS’ MARKET OPEN FOR THE SEASON. If you have questions about agriculture, the 2012 Census of Agriculture now has answers. 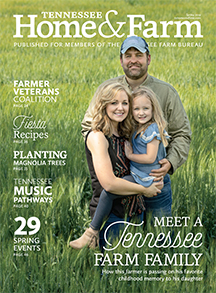 AFTER A SLUGGISH START TO CORN PLANTING, MANY TN FARMERS HAVE FINISHED UP THEIR PLANTING THIS SPRING AS ATTENTION SHIFTS TO COTTON & SOYBEANS. A FIELD DAY DEMONSTRATION AT MTSU’S DAIRY FARM SHOWED WHAT FARMERS WOULD DO IN THE EVENT OF A HOOF AND MOUTH DISEASE OUTBREAK TO KEEP MILK SAFE. USDA SAYS BEE LOSS OVER THE PAST WINTER WASN’T AS BAD AS PREVIOUS YEARS, BUT NOT SO IN TENNESSEE. 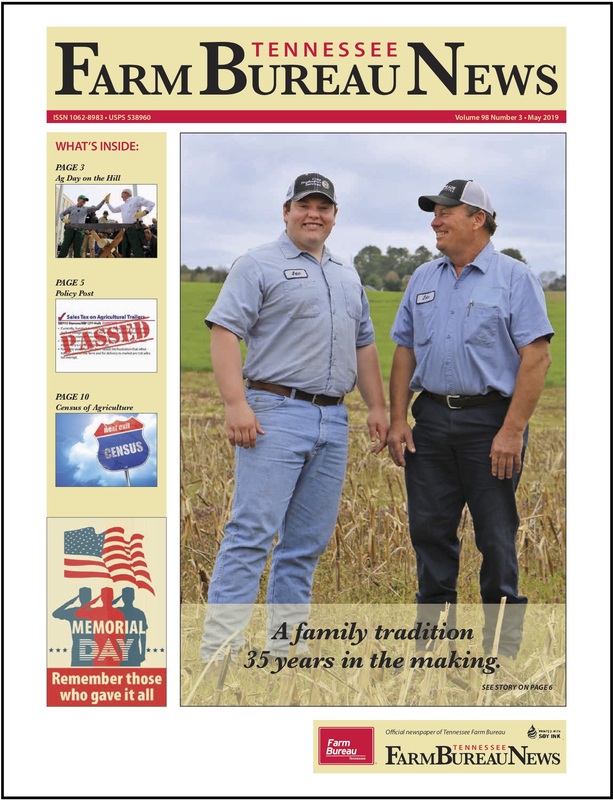 HAY WEATHER IS FINALLY HERE AS FARMERS LOOK TO MAKE THE MOST OUT OF THEIR FIRST CUTTING. We could see extremely high cattle and beef prices become the new normal, at least for the next couple of years. The Tenn. Dept. of Agriculture has a new Pick TN Products App ready for download. Tobacco farmers are about half way through setting this year’s crop. Grill season is here and making sure those meats are cooked to the proper temperature is really important. STATE 4-H COUNCIL PRESIDENT ALEX CROCKETT OF FENTRESS COUNTY IS ONE OF THE MANY SUCCESS STORIES COMING FROM THIS IMPORTANT YOUTH ORGANIZATION.